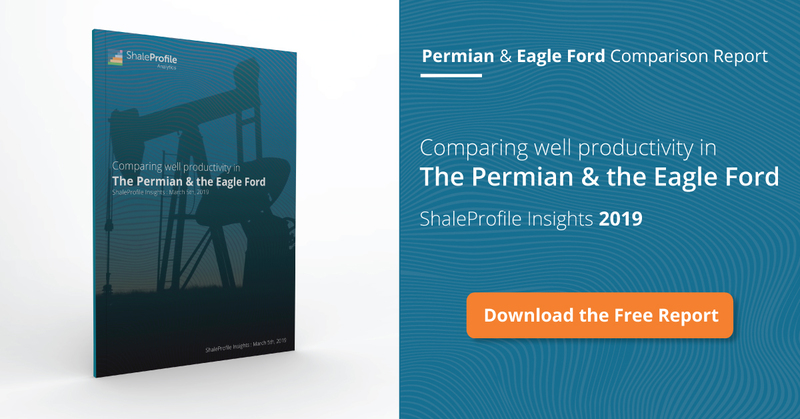 The presentation above, about shale oil production in the Eagle Ford (EF), now contains data from the RRC until January 2016. Although data for the last few months (esp. last January) is still subject to future revisions, it is clear that there has been a very large drop in oil production since March 2015, with no sign of stopping yet. The size of this drop is in line with what the EIA has reported in its Drilling Productivity report. It is surprising to me to see that the EF has dropped so much though, compared with the Niobrara, as we can see in the “Well Quality” tab that the wells in the EF are quite a bit more productive than Niobrara wells. This has probably to do with the difference in well costs between these two basins, so I hope someone can comment on that. In the total production overview (“How much is produced?” tab), the total oil production in the EF is shown, grouped by the year in which the wells started production. You can change this granularity to quarter or month now. I do note here that, as a few percent of the older wells are re-completed every year (which greatly boosts production), this causes older production to appear to decline less than the actual natural decline of these wells. Installing pumps in older wells also has a similar effect. In the “Well quality” tab, it is now possible to see the well productivity over time per operator, and county. You can change the graph to logarithmic mode now, which I myself find useful to understand the nature of the decline better. Also, you can also change the “grouping” to ‘operator’, or ‘county’, in order to quickly see which operators or counties had the most/least productive wells so far. I have estimated individual well production based on an algorithm, as the RRC does not provide individual well production data. Nonetheless, I belief that these estimates are reasonably accurate, as all the production that was provided on lease level, has been divided over the wells in the lease, based on typical production profiles, and the known production start date of the well. I also added a new tab, “Well Status”, where you can the number and status of wells over time. Furthermore, you can see an overview there that shows the distribution of well production levels over time. This can give some insight in how fast the total basin is “aging”. Compared with the previous update, I added a few more oil leases from non-core EF counties (RRC districts 3-5), that I missed last time. I now belief that this presentation includes all the oil production in the EF, as classified by the RRC. The oil production numbers shown here match very closely (within 1-2%) with the RRC numbers for the EF. No condensate or NGL is included in these figures, as by RRC definition these are only produced from gas leases, which I have not included. In about 3 months or so I hope to have collected enough revision data, to be able to say something about how much I expect the last couple of months to be revised. Because of the nature of the oil production (higher productive wells, and bigger companies) in the EF, I suspect that revisions will be less than for Texas as a whole. Thanks goes again to Mike Shellman for helping me out with some questions on the RRC. In about 1 to 2 weeks, I will have a post on the Permian. 1. The EIA page(s) with the scenarios. 2. The earlier discussion on other POB thread. Great stuff. Your site should continue to expand in popularity as word spreads on the net. Regarding the Niobrara’s relatively strong output compared to the EF’s drop off, cost of D&C in Weld county certainly plays a big role. One of the operators (PDC?) brought online 11 wells on one pad last summer with average drilling and completion cists if less than $2.5 million/well. Even much lower production output may be economically viable at that low a cost. Ongoing innovations such as monobore drilling may lead to shorter drill times/lower cists yet. This is being adopted in parts of the Permian as well. Thanks for that info Gerard. the drive mechanism for EFS / Niob is distinctly different (gas depletion drive, versus water predominantly in Niob). How do you get individual well data for oil wells from the Texas Railroad Commission? My understanding was that they only reported production by lease—and in the best areas, many leases contain multiple wells. The Texas RRC indeed, very unfortunately, doesn’t provide production information on well level. It does so on lease level, but it does provide some well information, incl the type of well, its completion date, and whether it is still producing, among other data. I have build an algorithm that utilizes as much information as we have, in order to estimate the individual production of the wells within a lease. The goal was not to get a highly accurate production profile for each individual well, which is impossible, but to divide the production in a lease in a reasonable manner over the producing wells, in order to get a good impression of the performance of wells, when viewed on an higher level, e.g. by county, formation, or operator. A more detailed explanation of this algorithm is as follows. Step 1. Based on leases with a single well, “Standard well profiles” are build for each year in which wells started production. Step 2. We are now going to estimate the production for wells in the other leases, starting with leases with few wells, and proceed to leases with more wells. Step 3. For each lease with n wells, we start with the earliest production of the lease (from 2006 onward), and then proceed forward in time. For each month, the oil production is divided over the producing wells, according to the ratio of the actual lease production, and the claims of all individual wells on that production, which is based on the “Standard well profile” that was assigned to each well, and its known production start. After each iteration of wells in a lease, the Standard well profiles are updated. This is still a simplified explanation, as a little more information is available and utilized. Some improvements are possible to this algorithm, as we could split the Standard well profiles per operator, and per county/formation. The core idea is that we utilize as much information as possible, while making sure that we avoid a structural bias in over/under-assigning production. As long as we avoid a structural bias, on the aggregate these individual well profiles will give reasonable results (because all lease production is divided over all producing wells, according to the best information we have). For the Eagle Ford, the results are good. The reason is that almost all wells are horizontal wells, and there are many leases with few wells. E.g. 20% of the wells is in a single lease, and > 55% of wells are in leases with 5 or fewer wells. Over 90% of the wells are in leases with < = 25 wells, and the largest lease has 65 wells. For the Permian the puzzle is more complex. The reason is that in many of the leases I selected, vertical wells are also part of the lease, and many wells don't appear to have any status update. There are leases with > 100 wells. My solution to this is that I only use leases for which I can make a reasonable well profile estimation, and ignore the other leases. The result is that I have to omit about 25% of the production in the Texas part of the Permian, for the formations that I am interested in. This concerns especially some very large leases, and Pioneer Resources has some of those. This may indeed cause some bias, as it could be that these large leases have better/worse wells than average. For now, this is the best that is possible. If an operator feels that the wells in this presentation are not accurate, I will be happy to accept the actual well data from them, and I will then make an update. For all other states (incl. the Permian counties in New Mexico), I didn’t have to rely on this algorithm, as accurate individual well data is available. I think he just divides the oil by the number of wells. Not sure how he handles different age wells on a lease though. Former shouldn’t impact calculations of average well quality (doesn’t seem like we look at standard deviation or best/worst in the tool). Not sure if the latter effect might hurt some of the analyses of well improvement over time but maybe he has a way to handle it.